R.R.Industrial Corporation Ltd. Raipur, Chhattisgarh. We trade extensive list of products. 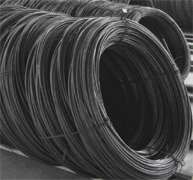 Recognised as a leading supplier of construction materials, we deal in Steel Flats, MS Black Flat Sections as well. Flats are used in various versatile fabrication applications because of their intrinsic design. These are used in shutters, window panes, grills, bus bodies, etc.